Travel has a way of sneaking up on you, and impacting you for a lifetime. 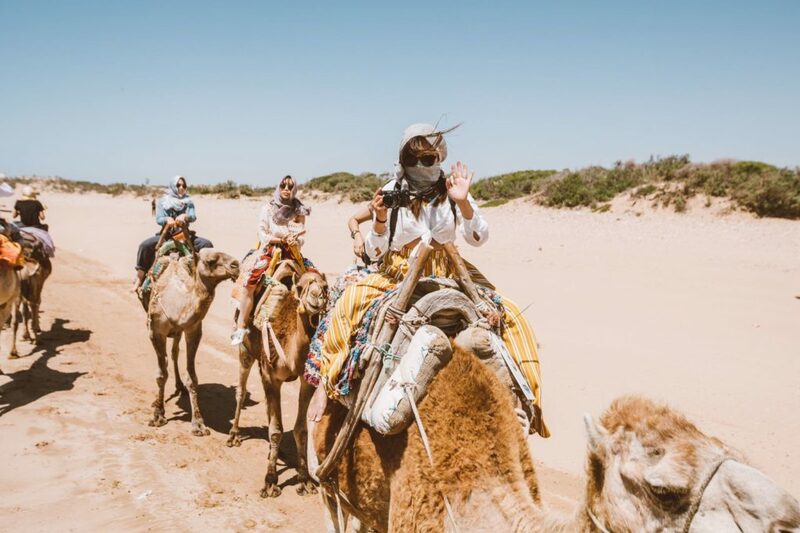 After you’ve seen the major sights of the world and start to journey on the road less traveled, you realize that the world is in need of a lot of support. You begin to see travel less as a vacation for the self, and more as an opportunity to give back. The mind starts to shift, and as a traveler, you wonder how you can help. 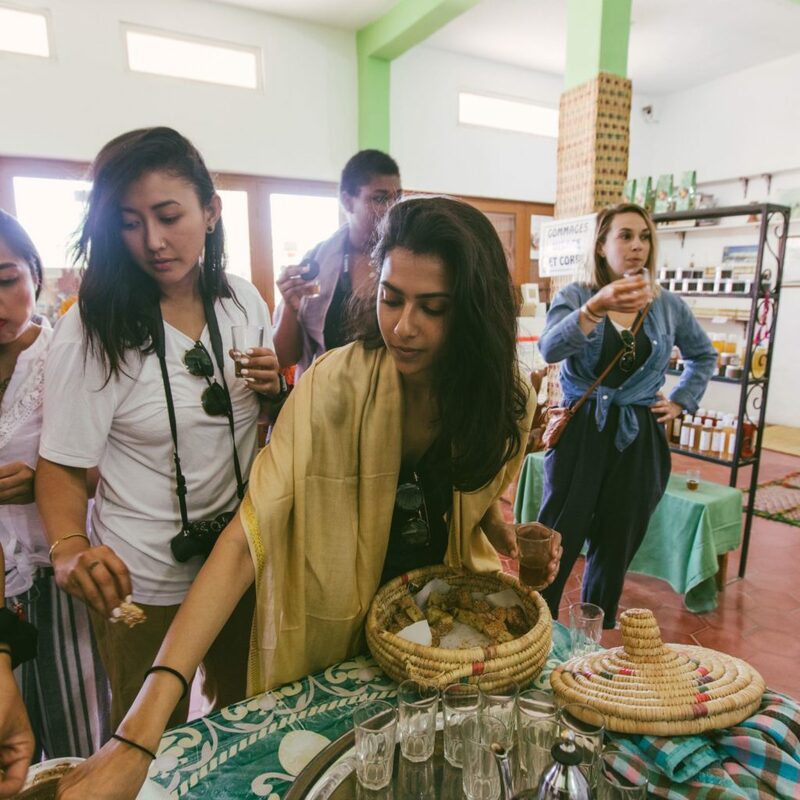 For some of us and GoodTravels, it starts small by buying local and supporting fair trade and ethically sourced items, or volunteering your time to teach English. However, the urge to travel – and to help – still remains, and that’s where GoodTravels comes in. Arnelle and Joma, the founders of GoodTravels, saw that change needed to happen within the travel community. They wanted people to see travel not only as a privilege and a great gift, but an opportunity to give back and let compassion fill the heart. To join forces with these game changers gave me the honor to share my passion for beauty and travel. The goal of GoodTravels is to empower people to use travel as a tool to educate and build awareness. They use their trips to support various causes and nonprofits that are making a positive change around the world. 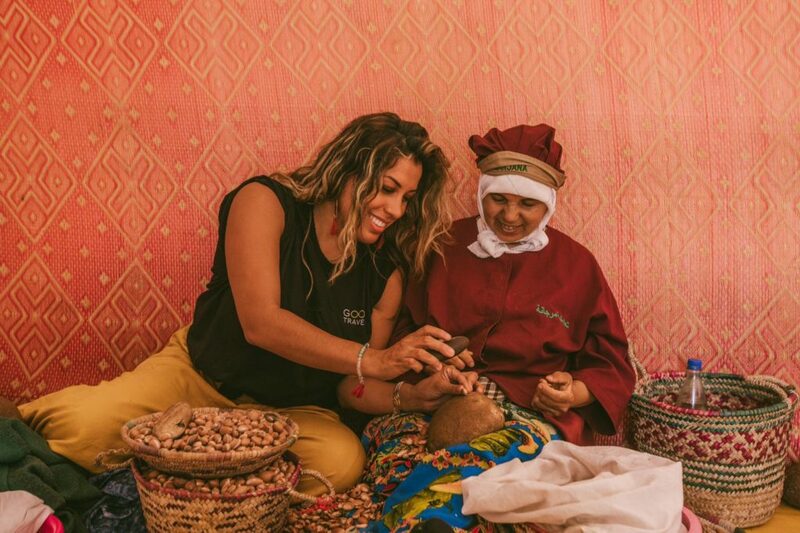 I was thrilled to travel to Morocco with the intention to help and learn. It is one of my absolute favorite places around the world. 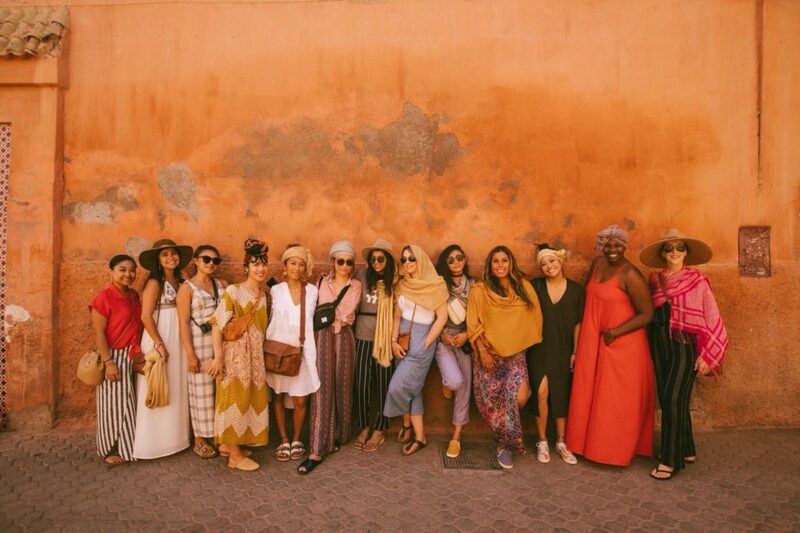 When I entered Marrakesh, a place of exceptional beauty, I met a group of twelve amazing women, all committed to elevating conversations about beauty. I’ve taken several group trips before, but nothing quite like this. It was amazing to experience women from all walks of life, coming together to give back to the world. 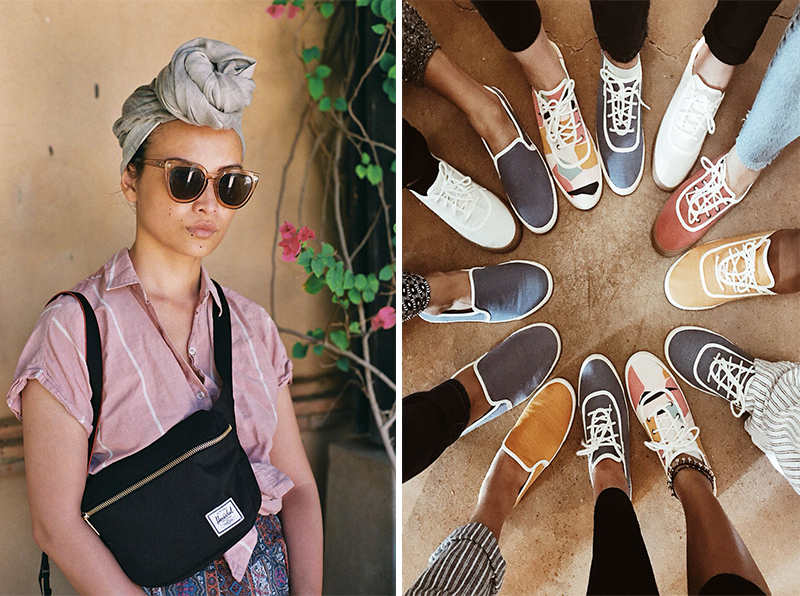 We explored the Medina, inspired by the brilliant colors and the even more colorful people. 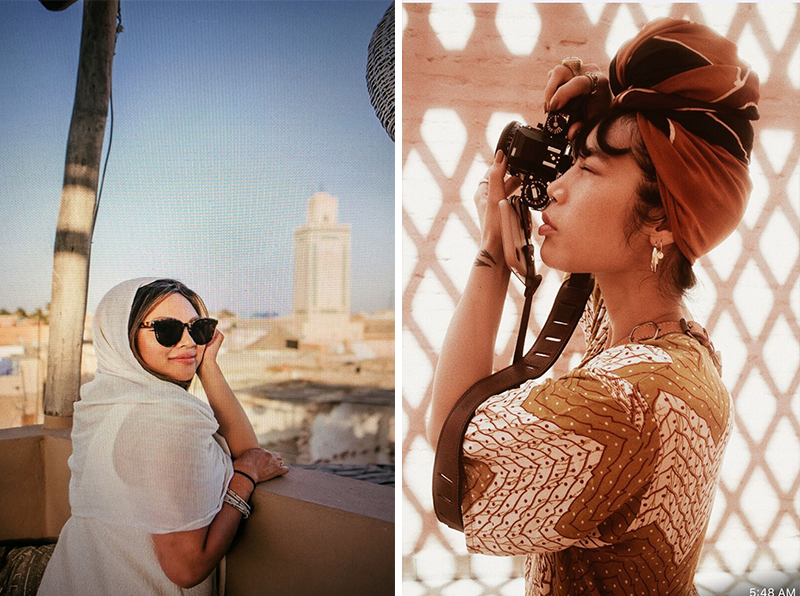 It is truly a photographer’s paradise, and it is an adventure to roam the market haggling prices and finding one-of-a-kind pieces. Our home base was the incredible Peacock Pavillions, where we celebrated, and reflected on, each day of beauty and travel. It is an oasis of inspiration around every corner. To swim among flower petals was also a dream come true. 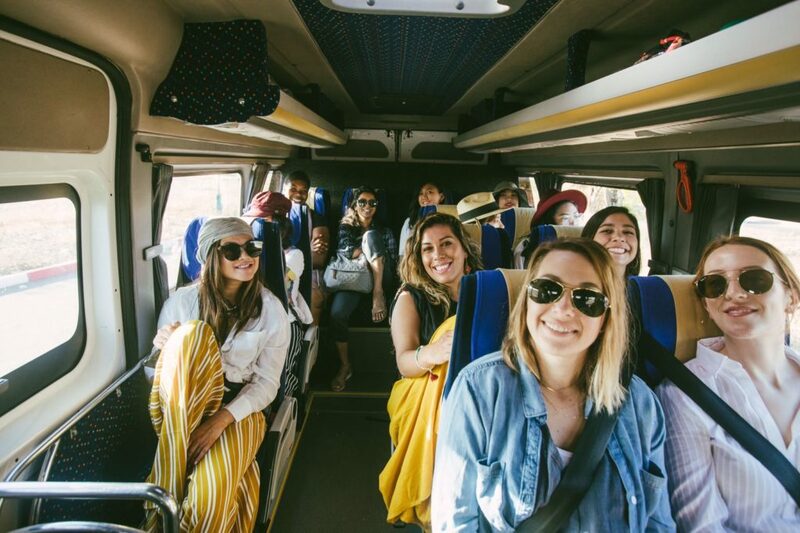 One of the highlights of the trip was when I led a beauty workshop inspired by Morrocan Beauty with all the girls. I’ve made it my mission to discover the secrets to global beauty. 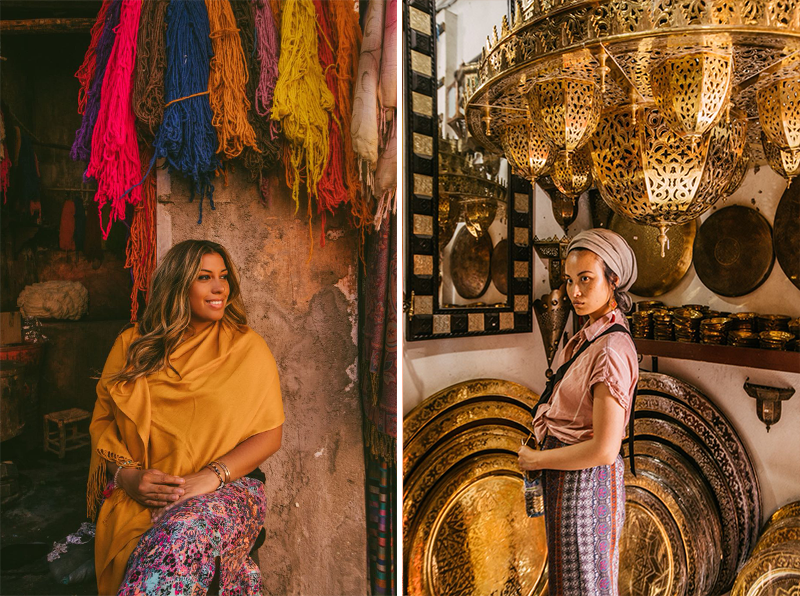 With numerous interviews at the Medina with market owners, and visiting spas like La Domaine Roseario and Riad Zam Zam, I had acquired so many valuable nuggets of beauty inspiration. We learned about all Morrocan ingredients, tea, and the purification of doing a hammam. Another highlight was the volunteer work we did with Project Soar. Good Travels had partnered with Project Soar for a day to volunteer with their local program for young girls. Project Soar provides education and support to empower teenage girls in the developing world. The program is based off of “The 5 Pillars of Empowerment,” which they defined as each girl having the opportunity to knowing and owning her Value, Voice, Body, Rights and Path. 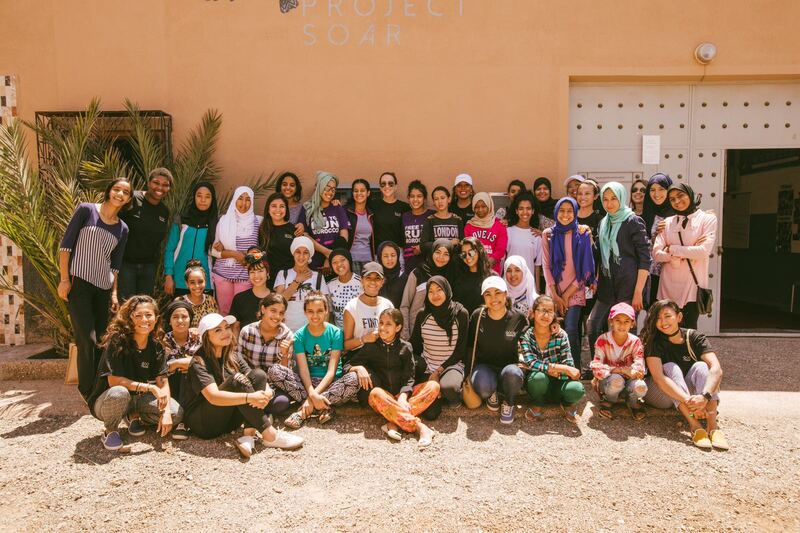 The organization has worked with 400 Moroccan girls to date, and has provided thousands of hours of after-school programming. The entire group was so grateful that they allowed us to observe their beautiful mission. We were inspired by the skills these young girls have as they enter the world full of dreams and aspirations. We shared what we did for a living, and with such a diverse group of backgrounds, all the girls could identify with at least one of us, which was very special. I led the opening meditation and shared my own personal vision of inner beauty with the group. As we each held hands, we introduced ourselves, and shared laughter and an empowering word that represented each of us. Tears were shed as we were reminded of the power in our words and belief. Regardless of age and location, our story was one for all. We learned more about the girls’ stories, dreams, and aspirations. I can’t begin to tell you how tears just came to my eyes hearing their dreams, from being a rock star to a journalist. It was like I was seeing myself as a 16-year-old girl again dreaming as far as it could take me. I hugged each one and encouraged them to never give up. These are the travel moments I live for, and one I’ll never forget.